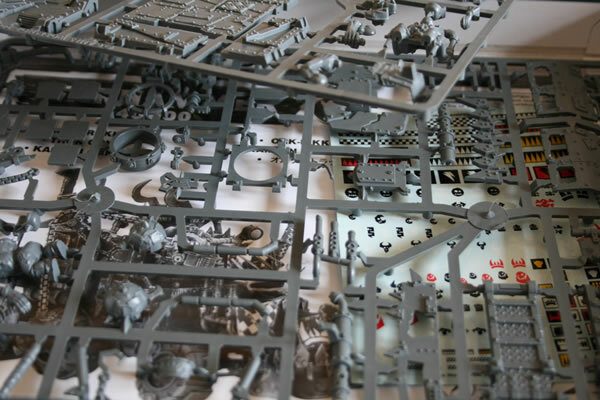 This model was one of the many new Ork models released by Forge World in 2009. Designed by Will Hayes and Phil Stutcinskas. 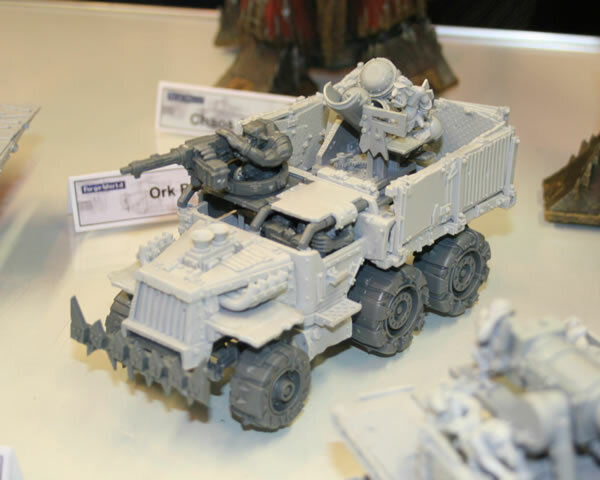 (a hybrid resin and plastic model using the Ork Trukk kit). 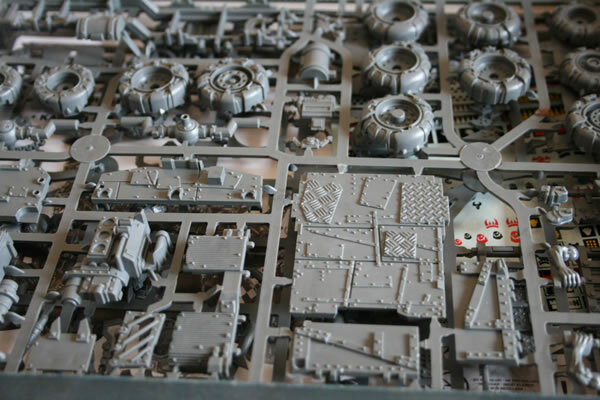 —The model makes for a great alternative for your Trukk fleet as well as an excellent base for your own conversions. Its enclosed cab can also be used to represent the Armour Plates upgrade on a trukk. 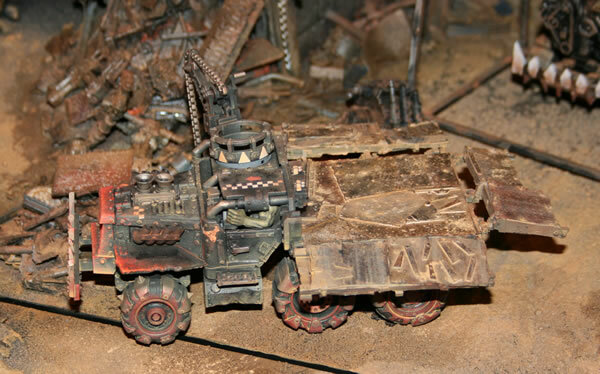 This Trukk model also includes a folding platform at the rear. This in my opinion is much better than the plastic platform included with the plastic kit. 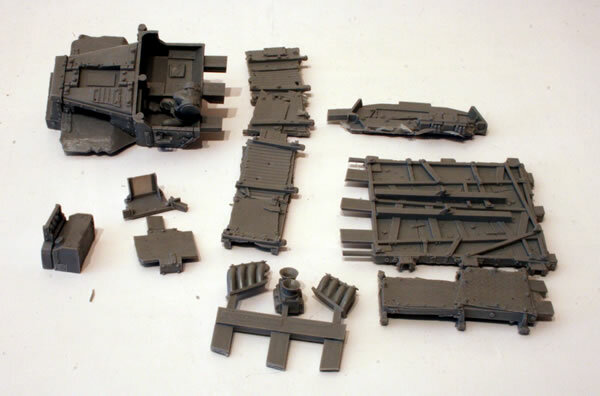 You also get very thin Trukk box with two sprues, transfers and instructions.